From the depths of my Halloween kitchen I present FRANKENROLL!!! Not quite perfect, but hey, it’s Halloween. Being slighty imperfect is okay. I think I know why the pattery didn’t join up and bake with the cake batter. And the big crack at the top? Mmm, I think I was too impatient and didn’t let the cake cool enough. More over the next days when I write up the recipe including the vegan Swiss Meringue buttercream recipe I got from Gretchen’s Bakery. Wishing you a spooky Halloween evening! 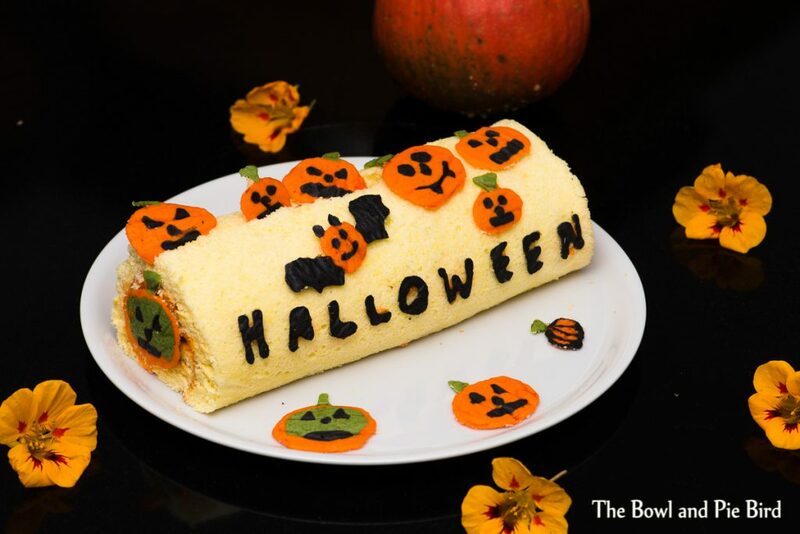 This entry was posted in Cakes and tagged Biskuitrolle, Halloween, Swiss Roll.